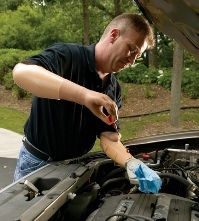 Usually after an amputation you will be required to re-sit a practical assessment to ensure your capabilities behind the wheel of a vehicle. Amputees are able to take lessons from qualified instructors using modified vehicles to regain skills and confidence. Your Occupational Therapist will introduce you to the people to assist you in regaining your driver’s license, if it is possible. A person may hold a permit if they have a significant permanent ambulatory disability. Applications forms can be obtained from municipal councils. Permits will only be issued to permanent residents of a municipality. Applications need to be completed by a medical practitioner. Permits are recognised elsewhere in Australia, however parking conditions may differ between States and Territories and should be checked prior to traveling.